'My work has always been about translation, passing a subject though various processes on the way to a fixed or permanent state, with each different material influencing the creation of new forms'. 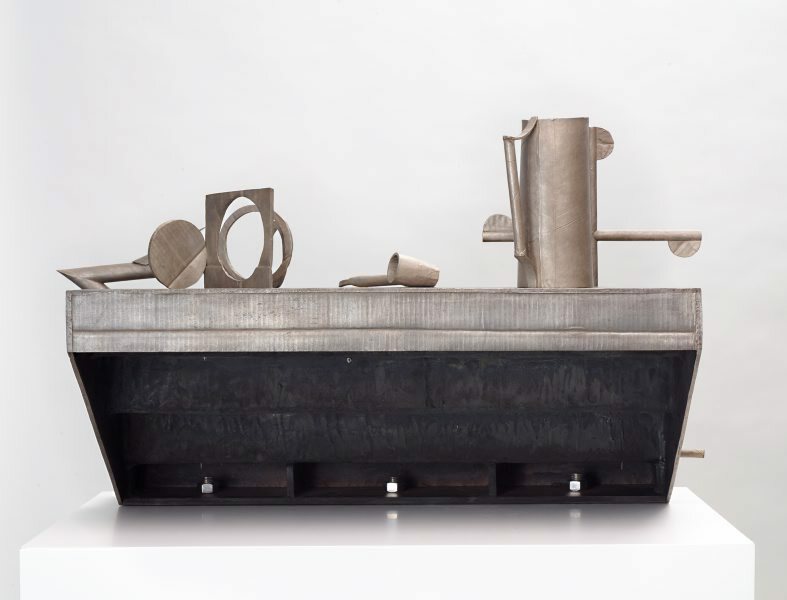 Ricky Swallow's 'Stair with contents' 2013 is a taxonomy of utensils and instruments presented on a set of four steps. 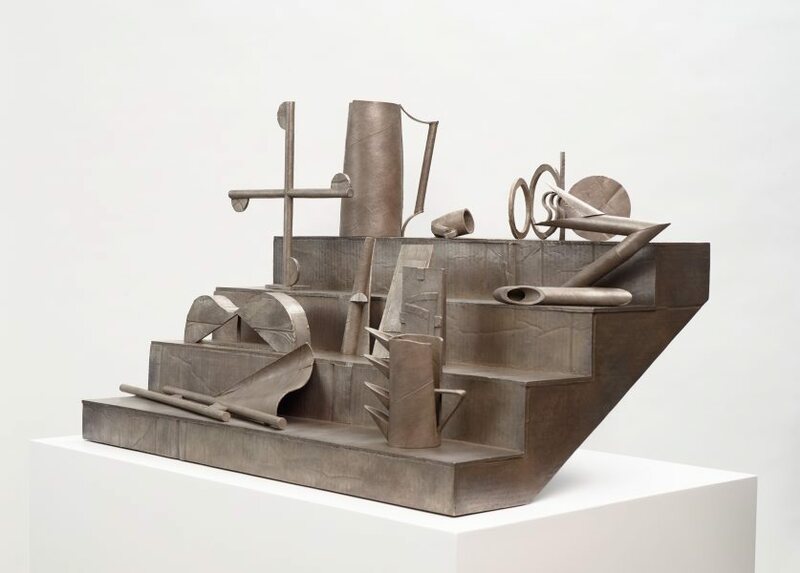 These proportionally scaled yet abstracted objects include drinking vessels, a smoking pipe, a cruciform, the body of a guitar, piping and fans, among other curious structures. Swallow has drawn inspiration from forms of 'collective ownership' and the 'economy' of American folk art and 'make-dos' - items he has found on display in flea markets and antique fairs that have been reimagined and transformed to extend their use. They have associations with daily use and the body, but also 'bootleg' various styles of modern art, design and architecture, notably motifs synonymous with Pablo Picasso, Man Ray and Rene Magritte. 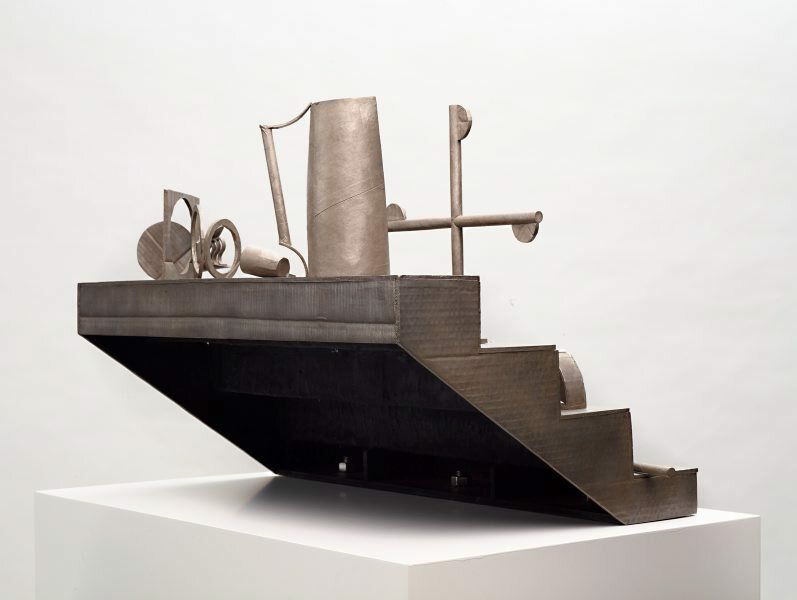 'Stair with contents' began life as a model fabricated from cardboard bits and pieces, which was then cast in bronze at the foundry the artist nicknames the 'Swallow's Nest'. 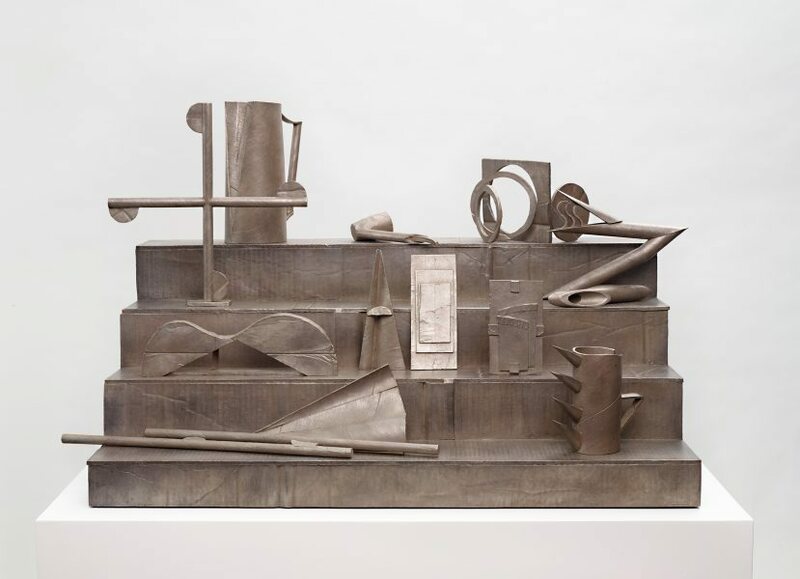 The sculpture has inherited the flimsiness and imperfect charm of the mould which is contradicted by its monumental presence and metallic grey patina. 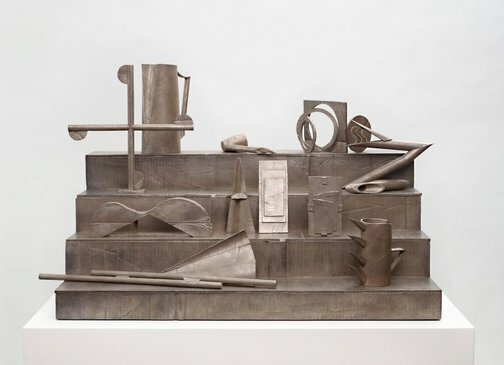 Swallow explains of these 'object studies' that 'the material change from cardboard to bronze seems like a way to finalize the form without losing its studio-built logic'.